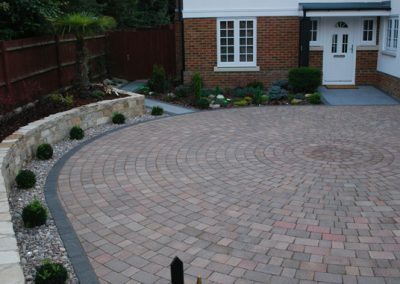 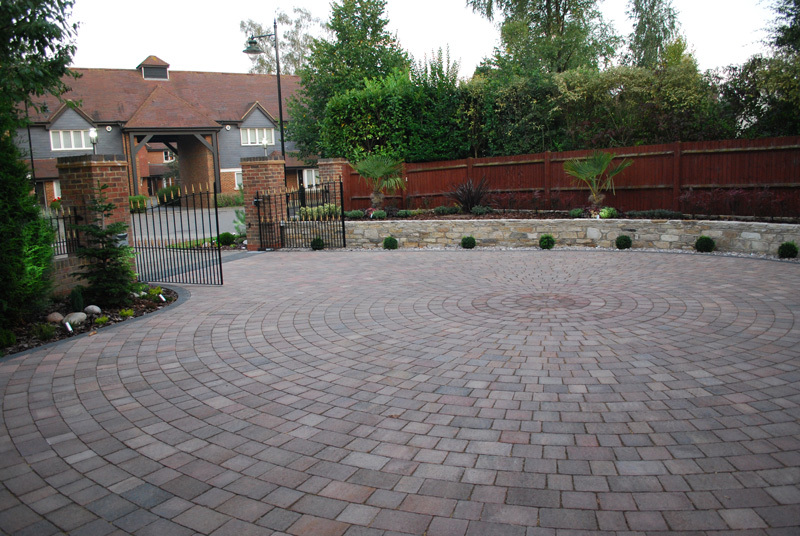 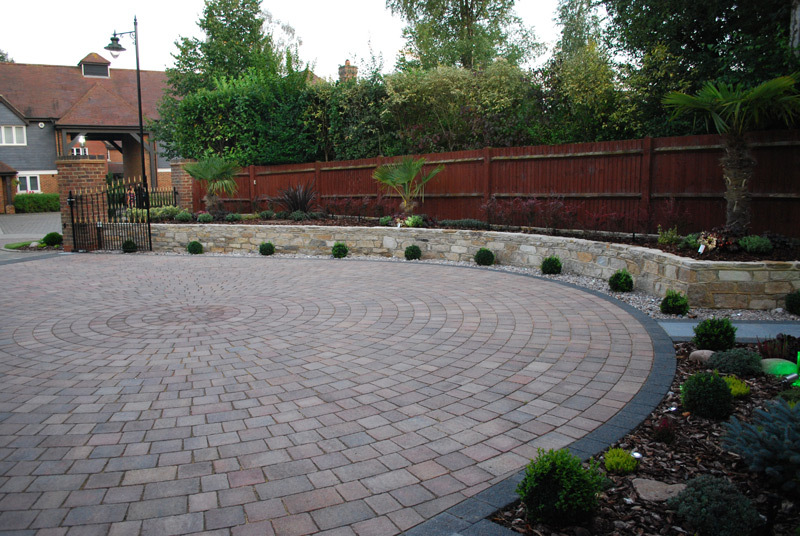 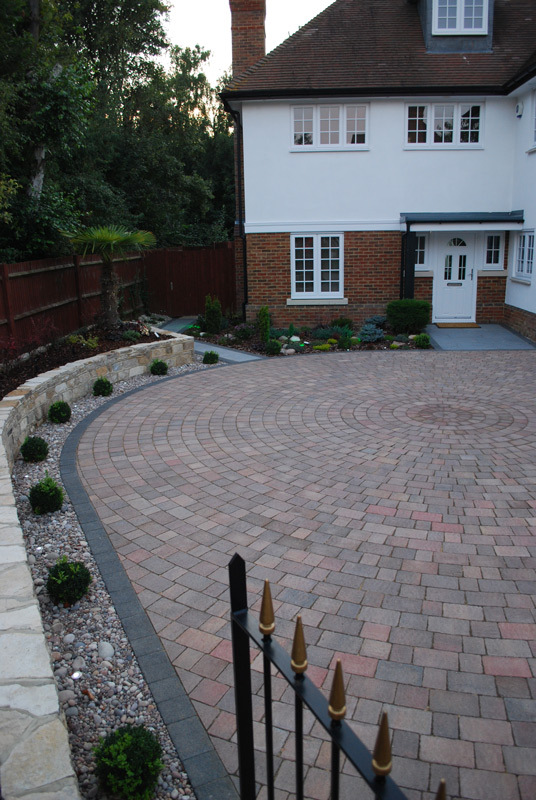 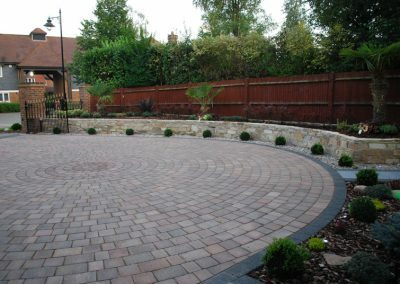 I opted to design this particular driveway with a bold circular block paved theme in order to create a softening contrast to the right angled nature of the house. 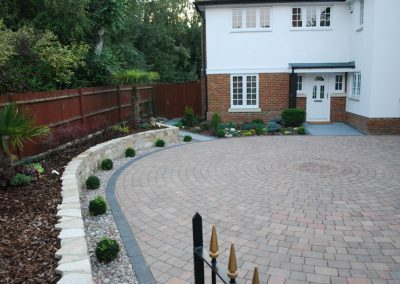 Natural Purbeck walls were built to retain the change in level. 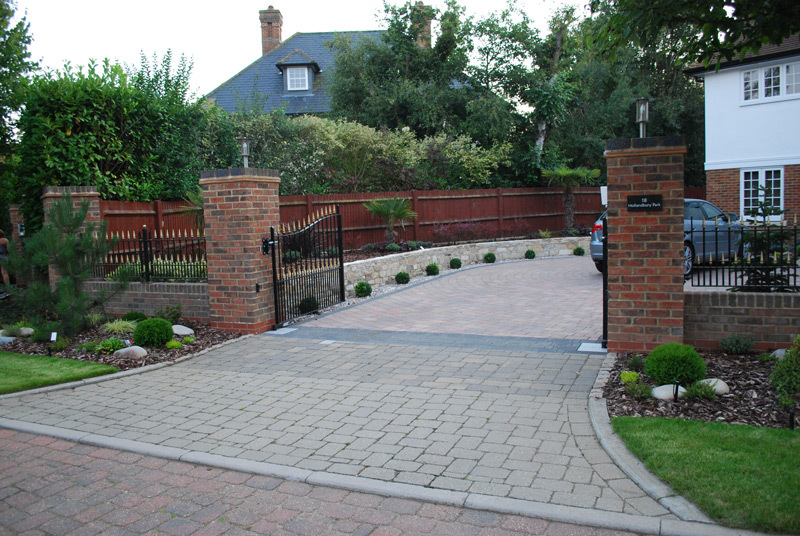 Granite slabs were used to define the porch area and path leading to side access gate. 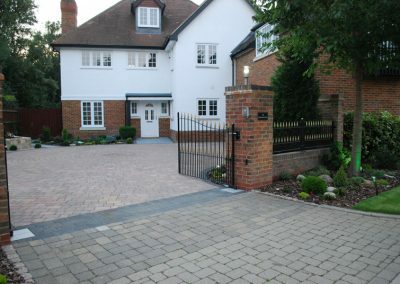 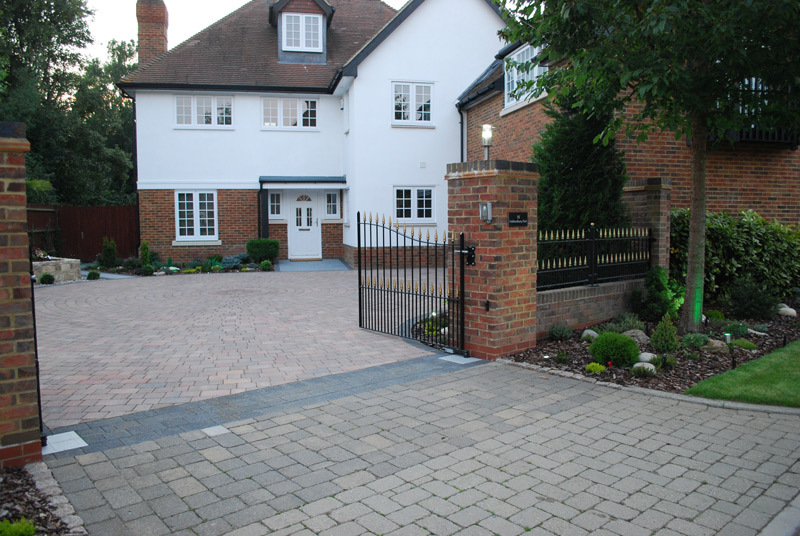 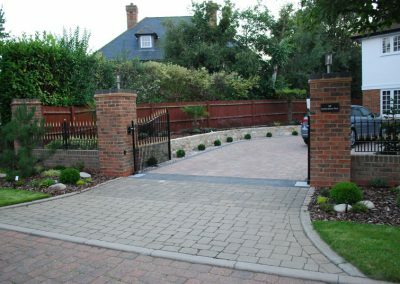 Stock brick front walls and electric gates created security.